What are the code requirements for fire-rated glazing in a 1-hour exit corridor? 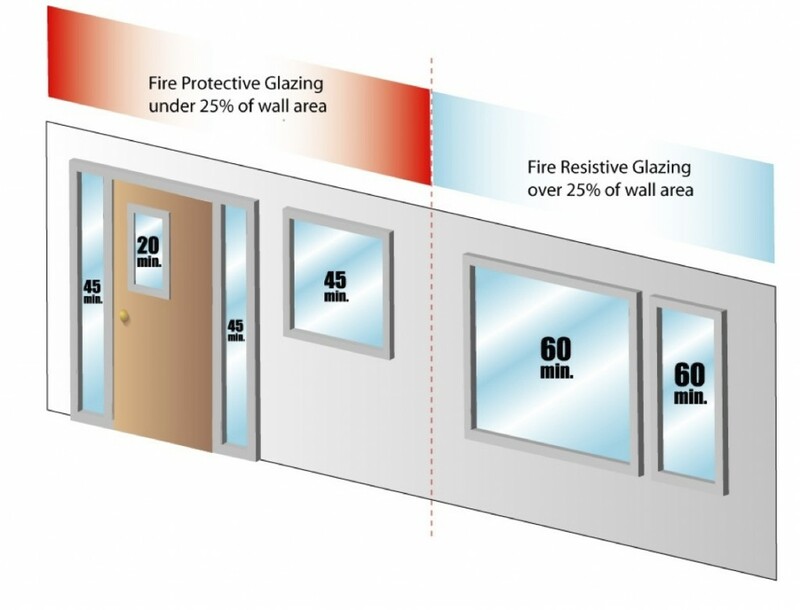 Click here to view code requirements for fire-rated glazing in a 1-hour corridor as a pdf. 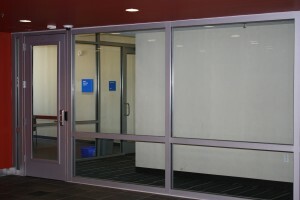 The IBC requires different ratings for protected openings in a 1-hour exit corridor depending on the glazing application. Sidelites and transoms around a 20-minute fire door in a 1-hour exit require a 45-minute fire rating with hose stream. 45-minute fire protective windows are permitted in a 1-hour exit corridor, up to a maximum of 25% of the wall area. If a designer wishes to use more glazing then 1-hour fire resistive glazing, like SuperLite II-XL 60, should be used to meet code requirements. 1-hour exit corridor, Durham County Health and Human Services Building, North Carolina.Â Products used:Â SuperLite II-XL 60 in GPX Framing.Â The glazed openings exceed 25% of the total wall area, therefore, fire resistive glass SuperLite II-XL and fire resistive GPX framing was used in this application.Â The fire resistive glazed assembly has the same rating as the wall (60 minutes). 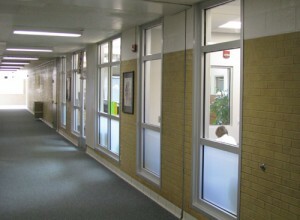 1-hour exit corridor at North Layton Junior High, Salt Lake City, Utah. Products used: SuperLite II-XL, fire rated up to 2 hours with hose stream and impact safety rated to CPSC Cat II. SuperLite II-XL meets ASTM E-119, the wall criteria that limits the average glass surface temperature rise to 250 degrees Fahrenheit on the non-fire side. Fire resistive GPX framing is used to complete this fire resistive assembly.